BERKELEY, CA, July 18, 2017 – Sovos Brands, a new food and beverage company formed by Advent International, today announced that it has completed its previously announced acquisition of Rao’s Specialty Foods Inc., the producer of Rao’s Homemade, the leading brand of super premium pasta sauce made with only the highest quality natural ingredients. Financial terms were not disclosed. 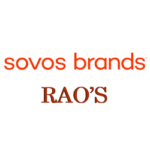 Rao’s Specialty Foods is the second acquisition in less than six months for Sovos Brands. Rao’s Specialty Foods joins Sovos’ portfolio of high-quality brands in on-trend categories, which also includes Michael Angelo’s Gourmet Foods, a leading producer of premium, authentic frozen Italian entrées. Headquartered in Berkeley, CA, and led by seasoned consumer packaged goods executives, Sovos focuses on businesses with the potential to accelerate growth by investing in distribution, marketing, production and product innovation. This transaction does not include the iconic Rao’s restaurants in New York, Las Vegas and Los Angeles, which will remain under current ownership. Morgan Stanley & Co. LLC served as exclusive financial advisor and Morrison & Foerster LLP served as legal advisor to Rao’s Specialty Foods on the transaction. Weil, Gotshal & Manges served as legal advisor to Sovos Brands and Advent International. Sovos Brands is a new kind of food and beverage company with a mission to acquire and build one-of-a-kind brands. Its portfolio includes Michael Angelo’s Gourmet Foods, a leading producer of premium, authentic frozen Italian entrées, and Rao’s Specialty Foods, a producer of super premium pasta sauce and other Italian specialty foods. Sovos Brands has the soul of a startup, the experience of an industry leader and the financial backing of Advent International, one of the world’s largest private equity firms. The company has a one-of-a-kind approach to brands, business and people—in fact, the only thing that’s old school about the business is the name, inspired by the old Latin term sovos, which means unique or one of a kind. This one-of-a-kind vision leads the company’s focus on people and brands, working to ensure that both can really thrive. www.sovosbrands.com, Michael Angelo’s Gourmet Foods at www.michaelangelos.com and Rao’s Specialty Foods at www.raos.com. Founded in 1984, Advent International is one of the largest and most experienced global private equity investors. The firm has invested in 325 private equity transactions in 40 countries and as of March 31, 2017, had $39 billion in assets under management. With offices on four continents, Advent has established a globally integrated team of over 180 investment professionals across North America, Europe, Latin America and Asia. The firm focuses on investments in five core sectors, including business and financial services; healthcare; industrial; retail, consumer and leisure; and technology, media and telecom. After more than 30 years dedicated to international investing, Advent remains committed to partnering with management teams to deliver sustained revenue and earnings growth for its portfolio companies.